The Township of Toms River is located in Ocean County inland from Seaside Heights. There’s certainly a lot going on throughout the town with a populated Main Street that offers a variety of shops and restaurants. Toms River even holds one of the largest Halloween Parades in the country every year, drawing in even more tourists after the summer is over. Getting to and from Toms River is very easy due to the NJ Transit Bus Services. However, the Garden State Parkway passes through the township, making it easy to travel up and down the state. Still, you’ll need a vehicle in order to get the most out of living here. Finding a stylish luxury car shouldn’t be difficult considering that you’ve got a Porsche dealer in Toms River, NJ. 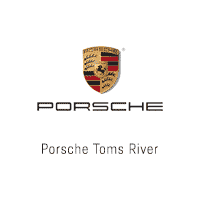 At Porsche Toms River, we’re proud to be a part of this wonderful township and offer our many services to drivers in the area who are looking to get behind the wheel of a stylish, luxury car. Whether you’re in the market for a stylish sedan like the Panamera, a sleek coupe like the Cayman, a crossover like the Macan, or even a midsize SUV like the Cayenne, you’ll be able to find exactly what you’re looking for on our lot. 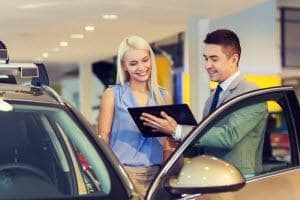 You can even use your computer to get started by checking out our inventory without having to make the trip to our lot. When it comes to picking out the right luxury car, it’s always good to have the knowledge in front of you so you can make the right decision. 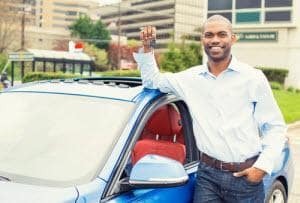 By having a Porsche dealership in Toms River that’s easy to get to, you have plenty of experts in the field to help you along the way—from when you arrive on our lot until you’re waiving bye while making your way home in your new Porsche. They’ll give you the necessary details and specs while highlighting the different trim levels and packages to consider in order to customize your ideal Porsche. There’s an exciting feeling that washes over you when you’re about to test drive a Porsche. When you get inside the cabin, feel the comfort of the leather seats, and see the sophisticated amenities, you know you’re going to get a thrill out of taking it out for a spin. While you’re driving around, you’ll get to see the vehicle’s impressive capabilities and its exceptional handling. If your mind wasn’t made up when you got into the car, it certainly will be by the time you put the Porsche in park. When you’re the owner of a luxurious and sleek Porsche model, you’ll want to make sure that it’s maintained by the best hands around. Luckily, we’ve got Porsche Certified Technicians as a part of our service center team that are here to help you get the most out of your vehicle. They’ll conduct the necessary inspections and perform the routine services to make sure that your Porsche continues running like a performance-based, luxury vehicle. Whether you’re in need of simple services, like an oil change and tire rotation, or a more serious transmission or radiator repair, you can easily rely on our team to help make sure that your vehicle receives the best service possible. If you’re considering a Porsche as your next luxury car, you can schedule a test drive to get behind the wheel of your ideal vehicle today at Porsche Toms River.